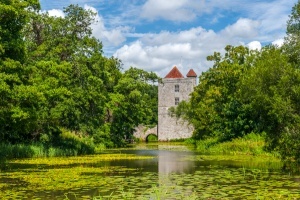 A rare fortified monastery founded by the Augustinian order in 1229. The site was moated and a gate tower added in the late 13th or early 14th century, probably in anticipation of a French attack. There is a reconstructed Physic Garden in the grounds, and a reconstruction of a cloister garden. The Michelham site was cleared in the Saxon period and granted to the Norman De l'Aigle family after the Conquest. One of the family, Richard de l'Aigle, employed a young man named Thomas Becket. During a hunting expedition in the 1140s, Becket's horse slipped on a icy bridge and he fell into the river, where he was swept towards a nearby mill. By good fortune the miller chose that very moment to turn off the mill wheel, and then, seeing Becket being carried towards the mill, was able to pull the young man to safety. Becket, grateful for his rescue from death, decided to join the church and devote his life to God. The rest, as they say, is history. Tradition says that this dramatic rescue took place at Michelham, where there has been a mill since at least the 13th century, and very likely long before that date. In 1229 Gilbert de l'Aigle founded an Augustinian priory at Michelham, but he did not stay in England long enough to see it develop, for he lost favour with Henry III and was banished to France. The priory received grants from other benefactors, however, and was served by 12 canons under a prior. By 1283 the priory was well enough established to host a visit by the Archbishop of Canterbury. 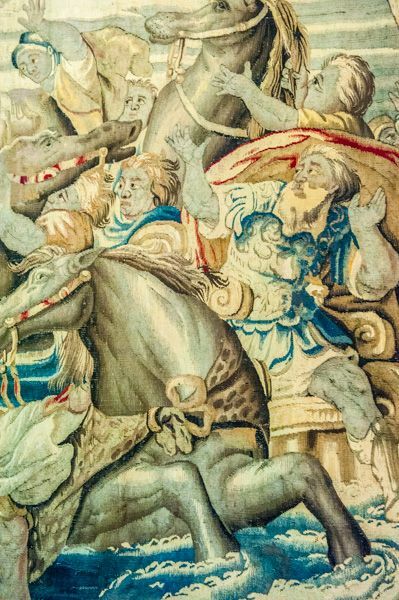 The priory suffered during the Black Death, and in 1353 was fined for not having enough canons to fulfil its obligation to say prayers for the souls of 'Gilbert de Aquila, his ancestors and his heirs for ever'. The most outstanding medieval prior of Michelham was John Leem, who served from 1374-1417. Leem built the imposing gatehouse and had the moat dug, both measures aimed at protecting the Priory from French attack. The Priory defences had another purpose, though; Leem also served John of Gaunt, Duke of Lancaster. The social unrest of the Peasant's Revolt in 1381 must have made Michelham a target for peasants who thought the Duke's money might be stored at the Priory. By 1478 the priory was in a poor state; 2 mills were in ruins, the granges and canon's dormitory were falling apart, and the Priory's assets had to be sold off just so the canons could have enough food to eat. The sub-prior was fined for consorting with the wife of a Priory servant, and other canons were told to stop visiting local taverns. The servant's wife, Alice Ford, is said to haunt the Priory grounds to this day. 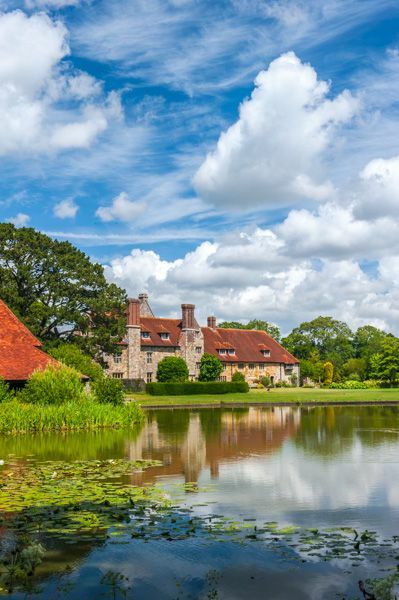 Michelham was dissolved by Henry VIII in 1536 and became the first site awarded to Thomas Cromwell, architect of the Dissolution. After Cromwell's execution for treason in 1540 Michelham reverted to the crown. 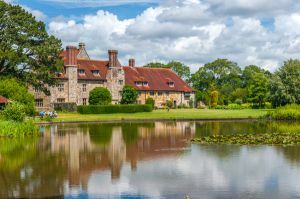 Henry VIII gave part of the estate to his 4th wife, Anne of Cleves, but after her death the Priory passed through several owners until it was purchased by Herbert Pelham. Pelham began to rebuild the monastic buildings as a large house, but ran out of money. He sold the property to Thomas Sackville, Lord Brockhurst, in 1601, and the Sackville's owned Michelham for the next 300 years. The Priory was let to tenants, and the monastic buildings converted into a very large house, with numerous outbuildings. 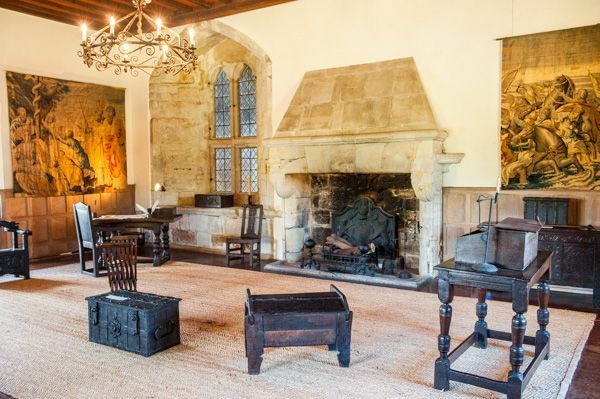 The house was furnished with oak-panelled rooms, above the original medieval vaulted crypt. The house was later used as a temporary haven for evacuees during WWII, and later to house a succession of military troops. 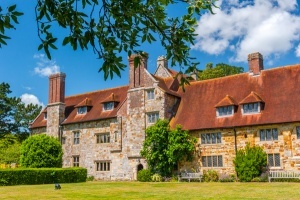 The Priory is now owned by the Sussex Archaeology Society and is open regularly to visitors. I can't think of an historic site in England I've enjoyed more than Michelham. Once you pass over the moat and through the impressive 14th century gatehouse you realise you're entering a very special place. 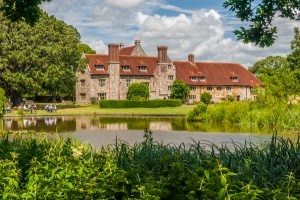 The site is completely enclosed by the moat, and within the moat is the very large Elizabethan farmhouse, incorporating parts of the original medieval monastery. 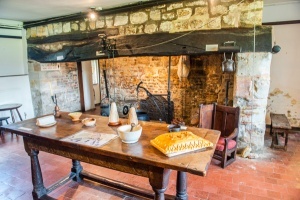 There are numerous outbuildings, including the forge, and a lovely garden area. 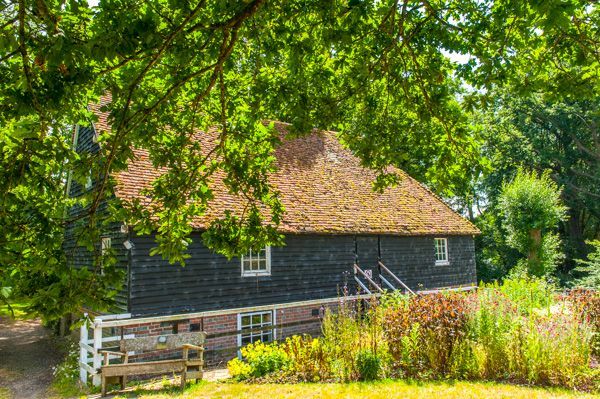 You can see foundations of the priory church on the lawn, and walk around the outside of the moat to a recreated Bronze Age roundhouse and the restored mill. 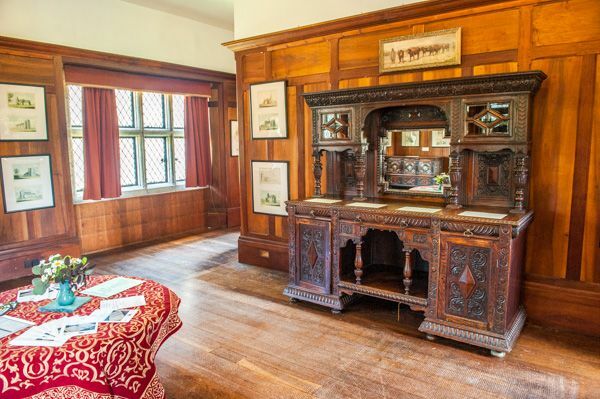 The showpiece of Michelham is the Elizabethan manor, however. 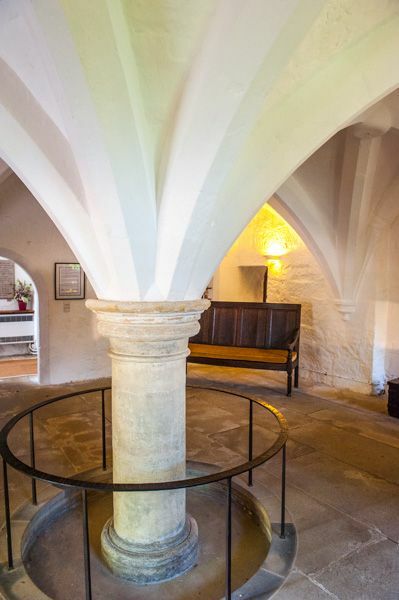 You can see the original medieval vaulted undercroft on the ground floor, and explore two floors of the house at your leisure. There is an exhibition on the WWII evacuees at Michelham, and an extremely good exhibition on the history of the priory itself.